What lies behind all this, I believe, is a deep sense of the fundamental antagonism between the government and the people it governs. It is apprehended, not as a committee of citizens chosen to carry on the communal business of the whole population, but as a separate and autonomous corporation, mainly devoted to exploiting the population for the benefit of its own members … When a private citizen is robbed a worthy man is deprived of the fruits of his industry and thrift; when the government is robbed the worst that happens is that certain rogues and loafers have less money to play with than they had before. The notion that they have earned that money is never entertained; to most sensible men it would seem ludicrous. They are simply rascals who, by accidents of law, have a somewhat dubious right to a share in the earnings of their fellow men. "One of the major reasons that the words “government” and “tyranny” are virtually synonyms, Mencken showed, was the gullibility of the ruled: 'The State is not force alone. It depends upon the credulity of man quite as much as upon his docility. Its aim is not merely to make him obey, but also to make him want to obey.'" 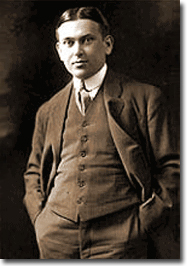 Mencken denounced the conjoined twins, socialism and democracy; he ridiculed the pretensions and idiocies of politicians (civilian and military); and he mourned the death of the American Republic. He therefore opposed America’s entry into both the First and Second World Wars, and reserved special contempt for the execrable Franklin Roosevelt and his catastrophic New Deal.